Practice and Procedure - The practice of summoning officers to court is not proper and does not serve the purpose of administration of justice in view of the separation of powers of the Executive and the Judiciary. If an order is not legal, the Courts have ample jurisdiction to set aside such order and to issue such directions as may be warranted in the facts of the case. The High Court was not justified in passing orders from time to time to secure presence of the officers. The officers of the State discharge public functions and duties. The orders are generally presumed to be passed in good faith unless proved otherwise. The officers pass orders as a custodian of public money. Therefore, merely because an order has been passed, it does not warrant their personal presence. The summoning of officers to the court to attend proceedings, impinges upon the functioning of the officers and eventually it is the public at large who suffer on account of their absence from the duties assigned to them. The practice of summoning officers to court is not proper and does not serve the purpose of administration of justice in view of the separation of powers of the Executive and the Judiciary. If an order is not legal, the Courts have ample jurisdiction to set aside such order and to issue such directions as may be warranted in the facts of the case. Service Law - The Uttar Pradesh Regularisation of Daily Wages Appointments on Group 'D' Posts Rules, 2001 - the grievance regarding regularization of the service on account of a break in service could not have been taken up in Contempt proceedings, when such issue has attained finality in the High Court. (SANJAY KISHAN KAUL) (HEMANT GUPTA) JJ. 2. The challenge in the present appeal is to an order dated 16.02.2018 whereby an application for recall of the order dated 06.12.2017 dismissing the Review Application in default was dismissed. 3. The case has a chequered history. The respondent initially filed a Civil Misc. Writ Petition No. 36896 of 1992. The said Writ Petition was disposed of in terms of the judgment of the Division Bench of Allahabad High Court reported as State of U.P. and Others vs. Putti Lal, (1998)1UPLBEC 313. The said judgment has been affirmed by this Court in State of U.P and Others. vs. Putti Lal, (2006) 9 SCC 337 decided on 21.02.2002. This Court held that the daily wagers are entitled to minimum pay scale as is being received by their counter-parts in the Government and would not be entitled to any other allowances or increment so long as they continue as daily wagers. It was further ordered that since statutory Rules, namely, the Uttar Pradesh Regularisation of Daily Wages Appointments on Group 'D' Posts Rules, 2001 (Rules 2001) have been framed, therefore, question of framing any further scheme by the State does not arise. “Because, the aforesaid daily wager was not found working continuously. Therefore, Sri Lakshmi Chandra does not come under the category of eligibility for regularisation/equal pay. There is a clear cut direction in S.L.P No. 3393/1999, SLP No.91/03, 01/95(Secretary of State of Karnataka & Others Vs. Uma Devi) of Hon’ble Supreme Court, order dated 10.04.2005 that those persons whose appointment has been made without any selection procedure, cannot be eligible for regularisation against permanent post. Therefore, after due consideration the undersigned has decided that Sri Lakshmi ChandraS/o Sri Pati Ram is not found eligible for regularisation/equal pay and the benefits of U.P. Daily Wager Appointment Rules 2001 Group-D cannot be accrued to him. “It is alleged that the order dated 23.10.2008 passed by this Court has been violated. From perusal of the petition, a prima facie case is made out. Issue notices to the opposite parties within a week returnable within six weeks. The opposite parties need not appear in person at this stage. The counter affidavit may be filed within the aforesaid periods of else charges may be framed after summoning the notice. The Principal Chief Conservator of Forests, U.P. and Principal Secretary (Forest) are present in person. The Forest Department of the State use to employee daily wagers for execution of its work in various schemes and projects and they continue for decades together. The issue of their regularisation was decided by this Court and affirmed by the Supreme Court which directed the State to frame a scheme for regularisation of such daily wagers. In pursuance thereof, the Government enacted U.P. Regularisation of Daily Wages Appointments on Group ‘D’ Posts Rules, 2001. Under the Rules the Authorities were directed to draw an eligibility and seniority list for the purposes of regularisation and the selection committee was to take decision on its basis. Issue of break in service was also considered by this Court in various writ petitions and it was held that if the incumbent has been working from the cut of date till the invoking of the Rules of 2001, though with breaks, he should be considered in accordance with the directions given. Large number of writ petitions had been filed and allowed on the basis of the aforesaid Rules and the judgments. However, the Court has been flooded with contempt applications alleging noncompliance in letter and spirit. In various cases this Court has come across where either compliance has been refused on imaginary ground or on the basis of fake seniority and eligibility list and even if compliance was made, citing paucityof posts, the employee was given only the minimum scale. The Principal Chief Conservator of Forests, U.P. shall ensure that accurate eligibility and seniority list is drawn up in all the divisions and be finalized after hearing the incumbents and Court be duly informed on the next date. Reply of rejoinder affidavit be also filed. 8. The said order was challenged by the appellants in Special Appeal No. 215 of 2010 in the High Court of Judicature at Allahabad. The Special Appeal No. 215/2010 was dismissed. The orders passed by the High Court became subject matter of challenge before this Court. This Court in a judgment reported as Deputy Director, Social Forestry Division and Another vs. Lakshmi Chandra, (2016) 4 SCC 721 directed the Principal Secretary to the Department of Forests, U.P. and Principal Chief Conservator of Forests to file separate affidavits before the High Court on the implementation of the orders to ensure that the wages are paid to the workmen in terms of orders passed within three months. This Court also requested the High Court to take into consideration all the subsequent developments to reach a logical conclusion in terms of the orders passed by this Court. The parties were directed to appear before the High Court on 17.02.2016. 9. The Contempt Application (C) No. 1632 of 2009 was again taken up for hearing by the High Court on 30.3.2016. It was ordered that it is no longer open to the Department to take plea that all the daily wage employees, whether they have been considered for regularization or not, are not entitled to the minimum of the pay scale. 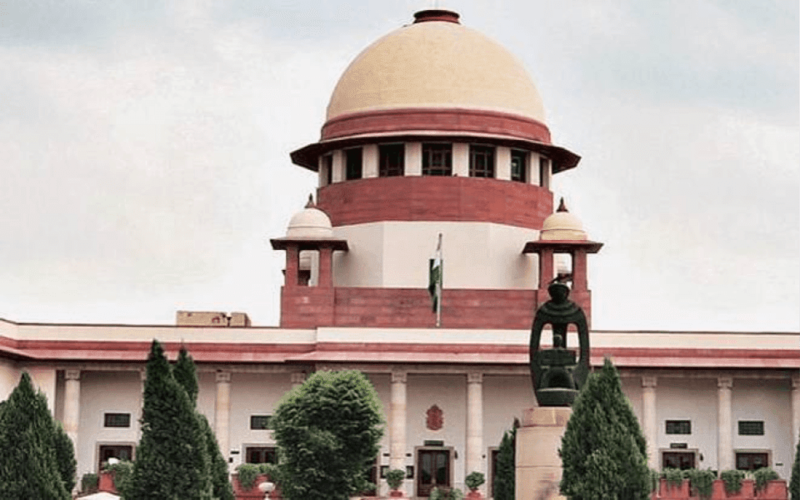 The plea of the Department on the strength of Division Bench judgment in State of U.P. and Others vs. Chhiddi and Others, 2016 (1) ALJ 226 (Special Appeal No. 1530 of 2007 decided on 24.09.2015) may not be available in view of the order of this Court. “The Order passed by Apex Court dated 02.02.2016, in effect clearly reflects for ensuring enforcement of orders passed on earlier occasion, in view of this in our considered opinion it is true that there is a Division Bench judgement in the case of State of U.P. Vs. Chhiddi and others, Special Appeal No. 1530 of 2007 that takes altogether contrary view to the judgment in the case of Special Appeal No. 1205 of 2010, Chanchal Kumar Tiwari Vs. State of U.P. In normal course of business, in case there are two judgments on the same subject matter holding altogether contrary directions, the matter would have been referred to Full Bench for reconciliation of the situation but here fact of the matter is that matter is emanating out of an order passed by Apex Court dated 02.02.2016. “After some arguments, Mr. Harin P. Raval, learned Senior Counsel appearing for the petitioners, seeks permission to withdraw this petition with liberty to approach the High Court by way of filing review petition to establish that the respondent was not continuously employed from 1992 to 2001. Permission, as sought for, is granted. 12. It is thereafter, appellants filed a Review Petition No. 313796 of 2017 in the High Court of Judicature at Allahabad against the order dated 07.04.2016 passed in Special Appeal No. 261 of 2016. The Review Petition along with an application for condonation of delay in filing of the Review Petition was dismissed by the Allahabad High Court for want of prosecution on 06.12.2017. It is the said application for recall of order dated 06.12.2017 which remained unsuccessful which is the subject matter of the challenge in the present appeal. 13. Learned Senior Counsel for the appellants argued that the respondent has been paid minimum of pay scale and that he attained the age of superannuation on 31.7.2018 and stands retired. It is contended that the direction of this Court is in two parts- (i) to pay minimum of pay scale to all daily wagers as per the direction of this Court in Putti Lal’s case (supra) and (ii) to consider regularization of the workers in terms of statutory Rules framed. Since the minimum of pay scale stands paid to the respondent, the dispute in such respect does not survive. 14. However, in respect of regularization of the services, it is argued that there is no evidence that the respondent has worked on daily wages from the year 1994 to 2000 i.e. for approximately seven years. Thereafter, he has worked intermittently from 2001 to 2003 as a daily wager and that there is no record available that the respondent workedfrom December 2003. Therefore, his claim for regularization was not accepted when an order was passed on 19.11.2008. 15. Once an order has been passed by the Department, it was open to the respondent to challenge the said order by way of a Writ Petition, but the Contempt Jurisdiction could not be invoked. The Contempt Court is to ensure that the order of the Court is complied with. The order of the Court on 23.10.2008 was to consider the case of the respondent for regularization of his services and for payment of minimum regular pay scale. 16. Since the appellants have considered the claim of regularization and/or payment of minimum of pay scale, the only remedy of the respondent was by way of the Writ Petition. The High Court has exceeded the Contempt Jurisdiction to compel the officers of the State to appear in court and in fact, the High Court travelled much beyond the orders passed by the Single Bench on 23.10.2008. “The learned Judge found that in the chart giving details of the engagement of the writ petitioners as daily wagers, the column relating to working in the year 2001-02 was left blank and against the year 2013, it was mentioned that both the writ petitioners were working from February 2003 and July 2003 respectively. The learned Judge also recorded a finding that the writ petitioners had failed to discharge the burden of establishing that they were working on daily wages in the Forest Department during the relevant period and the contention of the writ petitioners that they had been working without payment of any wages was also not accepted for the reason that it was difficult to believe that the writ petitioners would be actually working for two years without payment of wages. Learned counsel for the appellants has submitted that even if the writ petitioners had not worked for some period, then too the break should be treated as artificial break and should have been overlooked for the purpose of considering their claim for regularisation. “The writ petitioner had contended that there was no justification for excluding his case for regularisation under the Rules only for the reason that there were some breaks in service while working as daily wagers. The learned Judge held that artificial breaks have to be ignored and, therefore, directed the respondents to consider the case of the writ petitioner for regularisation afresh. It was further directed that in case the petitioner was still in employment, he should be continued and should be paid the minimum of the pay scale till his case was considered as had been directed by the Supreme Court in State of U.P & Ors. Vs. Putti Lal. 21. Thus, we find that the grievance regarding regularization of the service on account of a break in service could not have been taken up in Contempt proceedings, when such issue has attained finality in the High Court. 22. Having said so, we find that the High Court was not justified in passing orders from time to time to secure presence of the officers. The officers of the State discharge public functions and duties. The orders are generally presumed to be passed in good faith unless proved otherwise. The officers pass orders as a custodian of public money. Therefore, merely because an order has been passed, it does not warrant their personal presence. The summoning of officers to the court to attend proceedings, impinges upon the functioning of the officers and eventually it is the public at large who suffer on account of their absence from the duties assigned to them. The practice of summoning officers to court is not proper and does not serve the purpose of administration of justice in view of the separation of powers of the Executive and the Judiciary. If an order is not legal, the Courts have ample jurisdiction to set aside such order and to issue such directions as may be warranted in the facts of the case. 23. In view of the above discussion, we find that the entire proceedings in Contempt Application No. 1632 of 2009 are wholly unjustified and in excess of jurisdiction vested with the Contempt Court. Consequently, the appeal is allowed and the Contempt Application is dismissed.